GIGA SPEED Max fluor - Liquid Topping for wet and warm snow conditions. - Contains Gallium and Fluoro. - Used when temperature is between +10°C... -5°C. - This wax especially fast during spring and wet conditions when the snow is very moist. - Liquid wax, it is easily applied anywhere and that can be easily applied as a fresh coating. No need for brushing! GIGA SPEED Max fluor DRY - Liquid Topping for dry, hard snow and cold conditions. 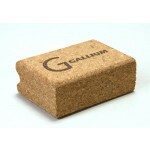 - Contains Gallium and Fluoro. - Used when temperature is between -20°C... -3°C - Developed for dry, cold snow. Works well on artificial snow. - Liquid wax, it is easily applied anywhere and that can be easily applied as a fresh coating Application: Apply GigaSpeed Maxfluor Dry on the base evenly and finish by brushing it very lightly with a nylon brush. Doctor FCG Liquid - High performance fluorinated liquid wax for wet snow conditions. - Used when temperature is between -1°C...+10°C. - Suitable for humid, wet and granular snow in the described temperature range. - Liquid wax, it is easily applied anywhere and that can be easily applied as a fresh coating. 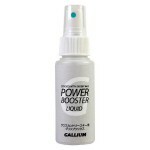 Gallium PRO Liquid 004 for artificial snow. PRO Series is well tested and proven at WC races as "special service wax". It is even faster than MaxFluor Series under specific conditions. 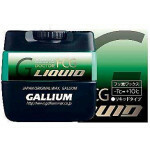 Gallium PRO Liquid 022 for new snow. Especially effective when snowing. You can get extremely high performance when snow temp is -4°C. PRO Series is well tested and proven at WC races as "special service wax". It is even faster than MaxFluor Series under specific conditions. Fluorocarbon glider developed as a base wax for long distance races on spring snow and dirty snow. 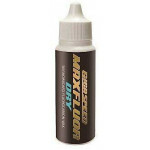 Original mixture to keep dirt, dust, sand and grease away from skis. Use as base wax and apply METALLIC ION series (HF) and GIGA SPEED series (Fluor) on its base, to make more “Anti Dirt” skis for your endurance. Recommended for all temperatures. Iron temperature 130°C. Power Booster liquid coating for klister wax. It improves performance of grip waxes. It corresponds rapid change of weather and snow conditions and boosts efficient grip power and high glide ability in the same time. How to use: - In order to avoid freezing of grip wax, apply grip wax and Power Booster alternately. 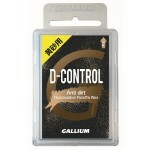 - In order to improve the glide ability of the grip wax overcoat grip wax with Power Booster. At most twice.